February 26th – Extended invoice deadline for FY 2017 recurring services. February 27th – Last day to file a FY2019 Form 470 to meet the minimum 28-day posting requirement prior to the close of the Form 471 application window. March 27th – FY2019 Form 471 Application deadline. Window closes at 11:59 p.m. EST. Also, if you were unable to update your entity information such as student counts, and NSLP data prior to the close of the Admin window, provide the information in the narrative of each funding request on the Form 471. After you submit the application, follow up with a RAL correction in EPC to make the necessary corrections on your form. To access the RAL, search for the Form 471 at the bottom of the Landing Page under “FCC Forms and Post-Commitment Requests”. Click on the application number, and then “Related Actions” on the “Summary” page. From the menu, click on “Submit Modification Request (RAL)”. From there, you can choose what portion of the form you would like to correct. 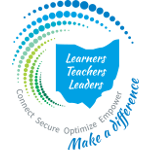 The Ohio Department of Education has released the October 2018 MR-81 document. To retrieve a copy, go to my website at www.ohio-k12.help/erate . It’s located under the “E-Rate Resources” table at the bottom of the page. Per the FCC Modernization Order, each school receives a Category 2 (C2) budget that may be used to provide broadband connectivity within the school. The FCC rules state that the C2 budgets are for 5-years, based on the first year that any school in the district was committed C2 funding. However, there is also language in the Order indicating that C2 funding is only available through FY2019, after which it will sunset unless the FCC takes action. Because of this, I strongly encourage all schools to consider their internal connections needs and utilize their C2 E-Rate budgets in Funding Year 2019, should the program in its current form not be extended. The only thing we know for certain today is, if you received C2 funding in FY2015, any remaining funds must be utilized in the upcoming 2019 funding year. I am closely monitoring information received from the FCC, indicating their decision regarding the continuance of the Category 2 funding, and will provide updates as information is received. If your staff would like to learn more about E-Rate, I will be conducting both face-to-face and webinar training sessions. For a list of dates/locations, go to my website at www.ohio-k12.help/erate, and click on the “Events” tab located in the table at the bottom of the page.